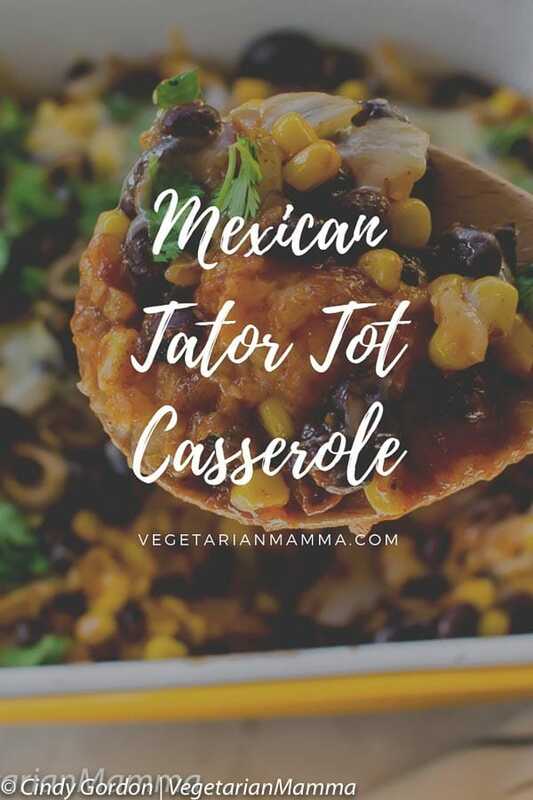 Mexican Tator Tot Casserole - Your family will beg for seconds. 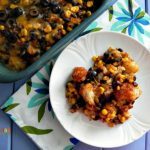 You are here: Home / Recipes / Main Dishes / Mexican Tater Tot Casserole – Tots never go out of style on the dinner table! 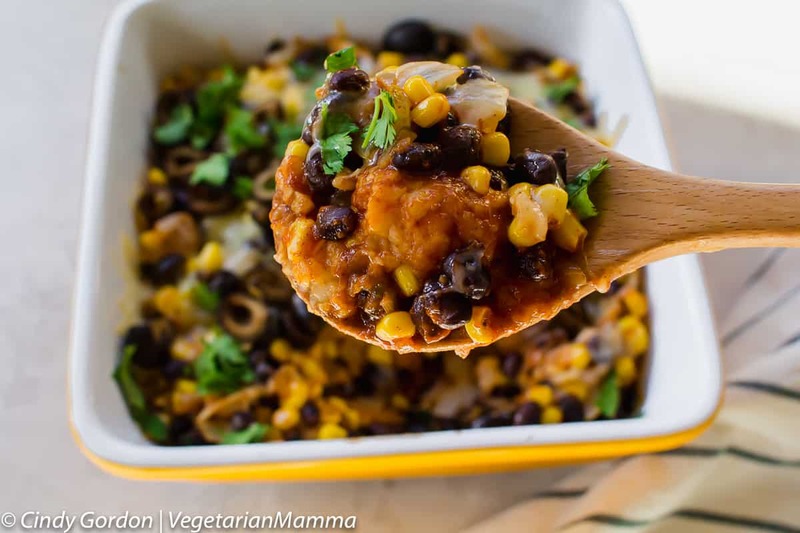 Mexican Vegetarian Tater Tot Casserole is a fun dish that the entire family will love! 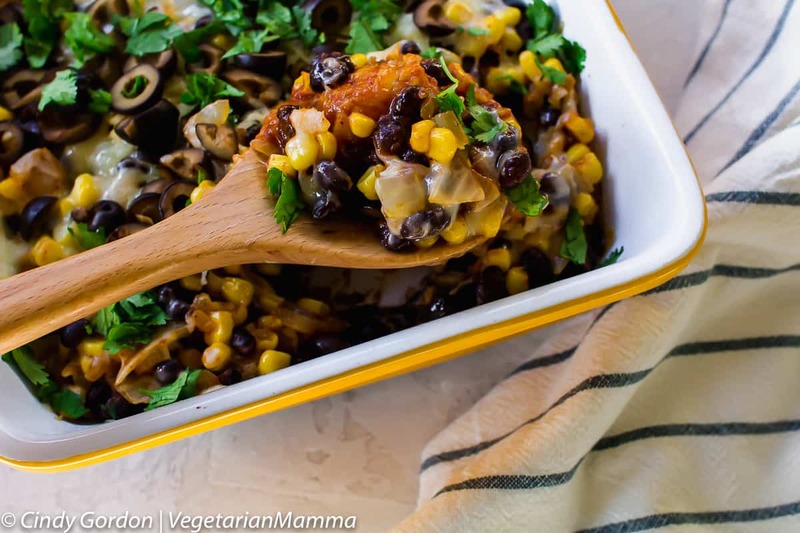 Spice up Taco Night and have this meatless tater tot casserole instead! Depending on where you live, you might want to call this recipe a hotdish instead of a casserole. 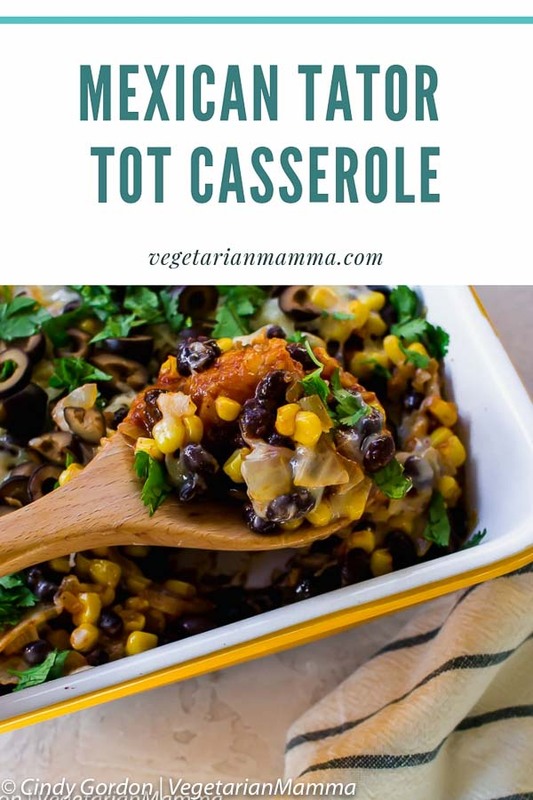 “Vegetarian Tater Tot Hotdish” has a certain ring to it that I like! The traditional tater tot hot dish comes from the Midwest, specifically Minnesota. There, a hotdish would include tater tots, ground beef, and a vegetable. This hot dish is, of course, vegetarian, and gets its protein from black beans instead of meat. Tater Tots never go out of style on the dinner table. Did you know that? It’s true! You can dress up a tater tot in so many ways. 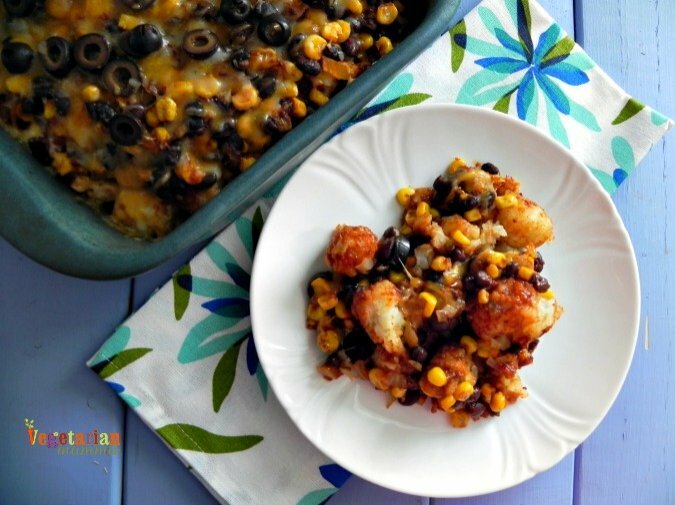 For this vegetarian tater tot casserole recipe, we decided that we’d put a Mexican spin on our tots, so we created a Mexican Style Tater Tot Casserole. This tater tot casserole with cheese is seriously going to be a favorite in your home. 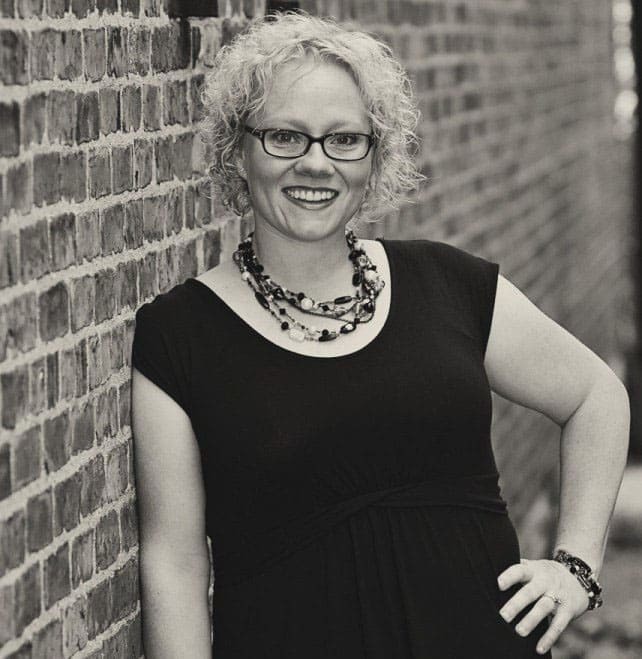 It is the tots that our entire family loves, including adults and kids. But it takes the flavor up a notch. It adds a Mexican inspired flare to this comfort food dish. The base of this recipe is packed with tasty and filling vegetables. 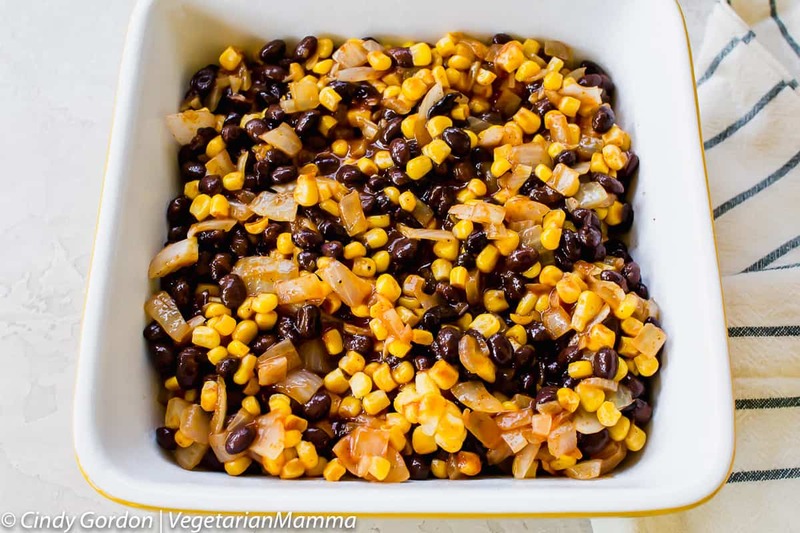 We mixed sauteed onions, black beans, and corn – traditional Mexican taco fixings – with gluten-free enchilada sauce to make the top layer of the casserole. Onions create a great flavor base for this dish. Aside from being delicious and versatile, did you know that they pack a big punch of nutrition? Onions provide vitamins C and B6 as well as Folate and various necessary minerals. 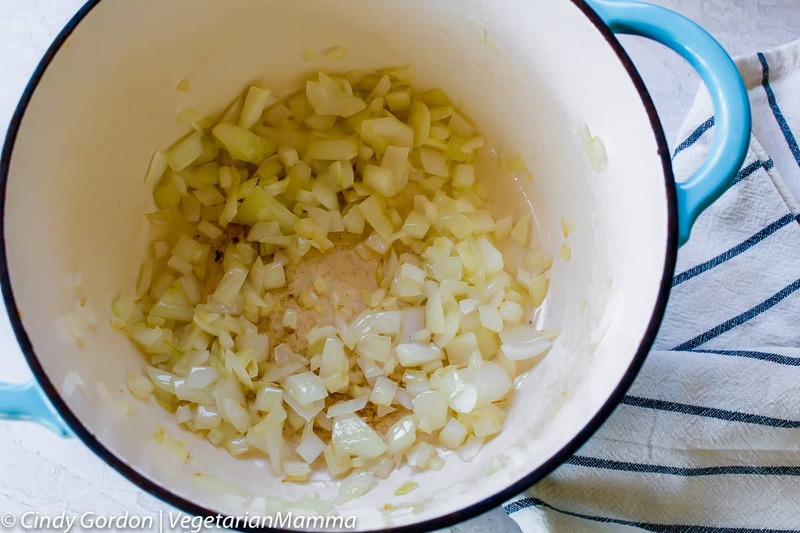 I love to cook onions in a skillet over medium heat and toss in a little garlic powder as well. Really, really good and versatile to add to almost any recipe. 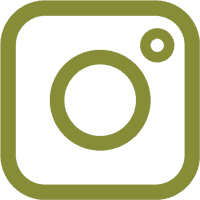 Looking for more Kid Friendly and Allergy Friendly recipes? Black beans are one of my favorite beans to cook with, and I almost always use them when I’m making tacos or enchiladas. Fun bean facts: Black beans are actually a variety of kidney bean, and are called “turtle beans” in some places. 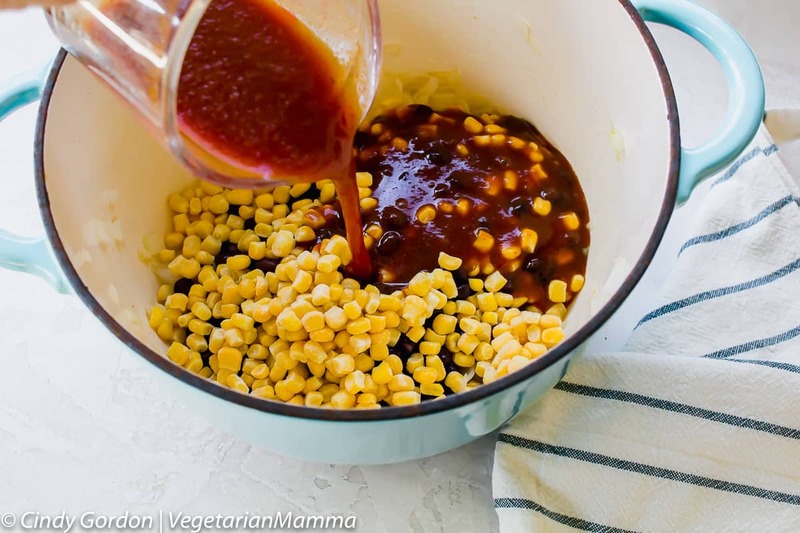 Mexican style tator tot casserole would not be complete without corn. Corn adds bulk and sweetness to this somewhat spicy dish. 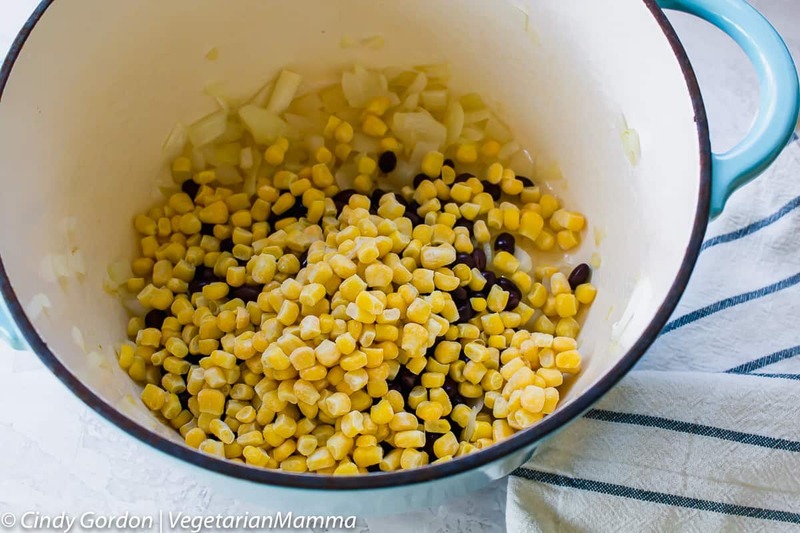 Corn, like black beans, is a crop that is native to the America’s. This is why you see it in Mexican and South American dishes so often. This is such a simple dish to put together. Just place your frozen tater tots in your baking dish, and spoon the veggie mixture on top. Throw it in a preheated oven to bake for about 40 minutes. A large skillet would work as a baking dish too. I love making casseroles in cast iron pans. My kiddos love to help put down the layer of tater tots as well, so that is always their job to do. Once you get that oven to 350 degrees, you know it’s time to rock and roll and get to cooking! Such a simple recipe, isn’t it? As a final touch, add cheese and chopped black olives and bake just until the cheese starts to melt. Garnish with cilantro and enjoy! 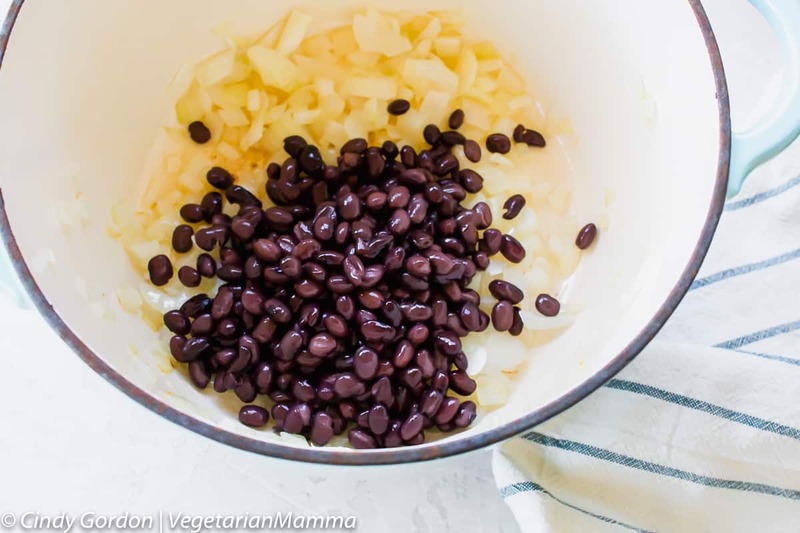 Make this recipe vegan by swapping out the cheese for a non-dairy cheese. I like Daiya or So Delicious shredded cheese. You could also leave out the cheese entirely and this meatless tater tot casserole would still be delicious. I actually have not tried freezing this recipe, but I think it would work well. It would be a delicious make-ahead meal that you could pop in the oven. I would, however, package the cheese, olives, and cilantro in their own container so you can throw those ingredients on at the end. Do I need to thaw the tater tots for this casserole? Nope! And actually, I wouldn’t recommend it. The tots would get mushy and start to fall apart if you let them thaw too much. Just put them in frozen. They will cook perfectly that way. 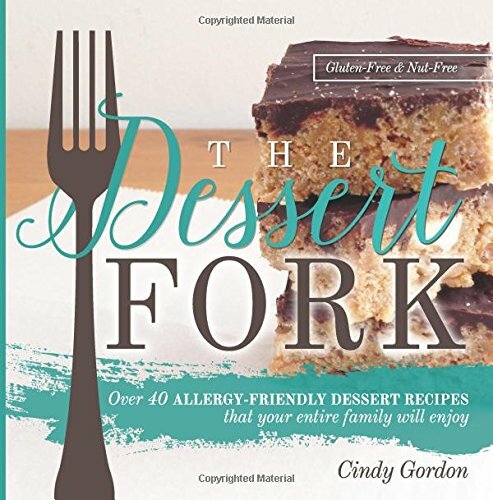 Looking for more Kid Friendly and Allergy Friendly recipes? 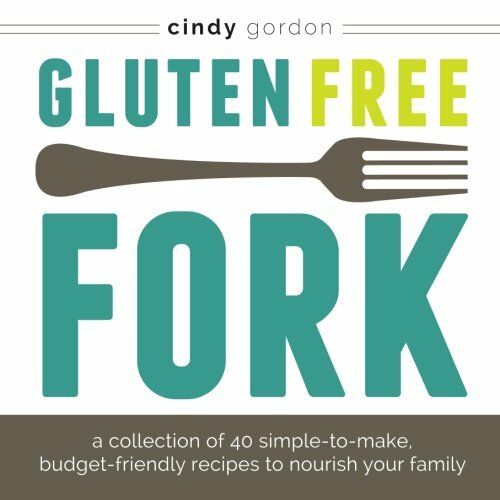 All of our recipes are gluten free and nut free! Heat over in skillet over medium heat. Saute onions until soft. Add corn, beans and sauce to the skillet. Stir to mix. Put frozen tots into a lightly oiled 8X8 square dish. Pour skillet mixture on top of tots. Bake at 400 degrees for 25 minutes (covered). Remove from oven. Top with shredded cheese and olives. Place back into over until cheese is melted. Does your family love casseroles? Check out our favorite casserole recipes! 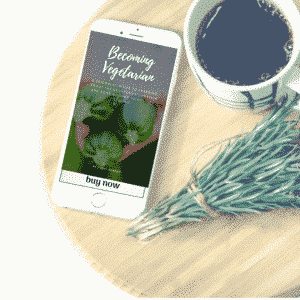 Please pin this vegetarian tator tot casserole for later. Take a peek at the older pictures of this recipe, we didn’t want to delete them! I bet this would be great with some chopped cilantro. I like how this makes great use of healthy convenience foods – beans, veggies! Healthy can be easy! That sounds like a delicious way to use tater tots. We all love them. I would probably add some shredded cheddar cheese. 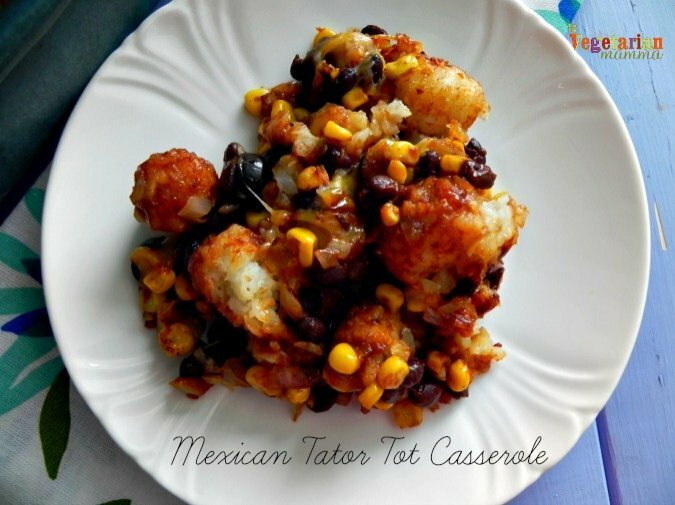 I have made several types of tater tot casseroles before but never a mexican-flavored on. This looks really delicious. I pinned this for future use. This looks like it would be good with sweet potato tots! This recipe would have been great if it hadn’t dried out. I checked the directions twice and thought I wonder if this should be covered. Turns out it was very dry. My family would not eat it. So, I enjoyed some of it. LOL. Please add that it needs to be covered. Oh no Debbie, I am so sorry. I haven’t made this one in a very long time. It is on my list to remake in the coming weeks so I can rephotograph it to update it. I will also update the directions. I apologize it turned out dry for you. When reviewing the recipe and seeing 400 degrees, that seems very hot and I can see how it could dry out the dish. I agree that it must have been covered so that the moisture would be kept in. When I make the recipe in the coming weeks, I”ll also test at lower temp as well and will update the directions! Thanks for the heads up, I am glad that at you got to enjoy some of it and I am sorry that your family would not eat it! Thank you, I also think I will use salsa next time to add a different flavor. I love tater tots with just about anything!!! What a great recipe! Perfect for when you need a quick but hearty dinner. 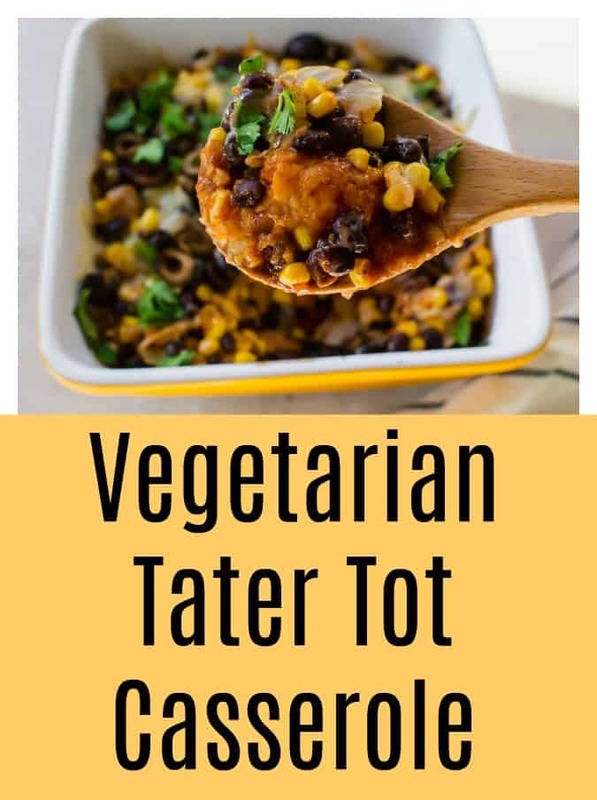 I wasn’t brought up with tater tots and haven’t cooked with them but I can see them being popular with kids and the other flavors sound good. Love dishes like this. Protein and carbs are the best. This looks amazing and so full of flavour!! I’m really into casseroles at the moment – maybe because I just got a new oven and want to use it all the time haha! 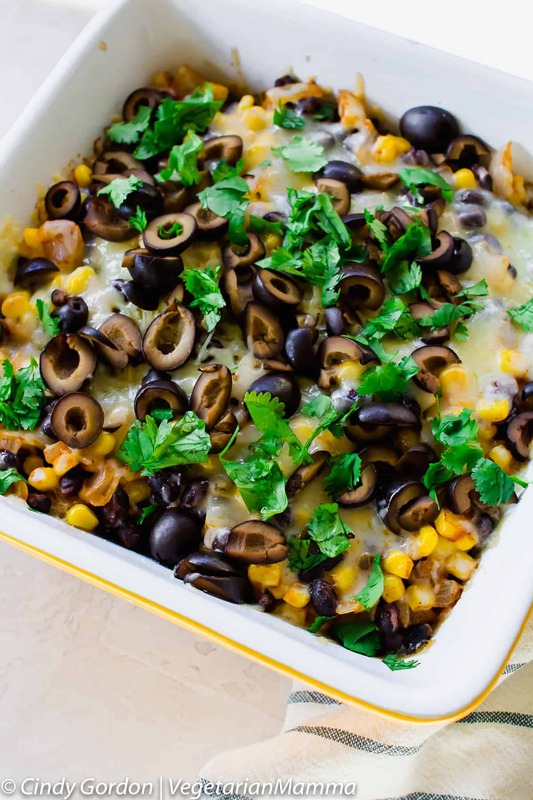 I love all the flavours in this casserole, Mexican is one of my fave cuisines! This looks like such an easy dish. Perfect for a busy weeknight. What a cool idea to use tater tots! Thanks, we love this fun idea too! 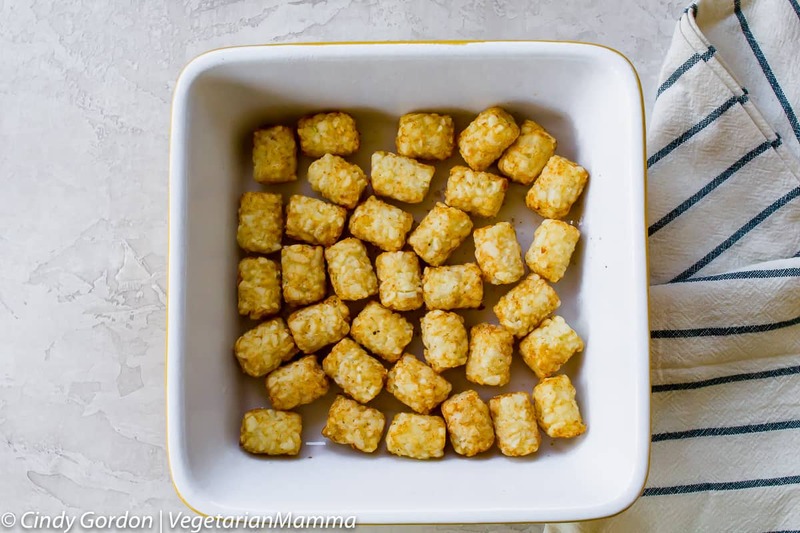 This is hilarious, a friend and I were just having a convo about Tots— and she said she was bored of them because she sees the same old recipes on Pinterest. I showed her yours…She is now about to eat her words after stopping at the market to pick some up to make your recipe. I’m married to a Minnesotan, so I’m all too familiar with hotdish! Love the flavors you’ve melded together in this one – it looks really hearty, too, especially for a vegetarian dish. Thanks so much! It is such a delicious hotdish! From my nine year old, “this was a delicious and nutritious meal for our family”. We enjoyed this! We are vegan and substituted non-dairy cheese. It was still really good My daughter alternated sweet potato tat-tots and regular ones at the bottom which added a nice variation! Yay, that is awesome!! Thank you for coming back and letting me know! I LOVE her statement!! That makes my heart so happy! I also love her idea of putting some sweet potato tots in there too! Tell her she’s a genius!